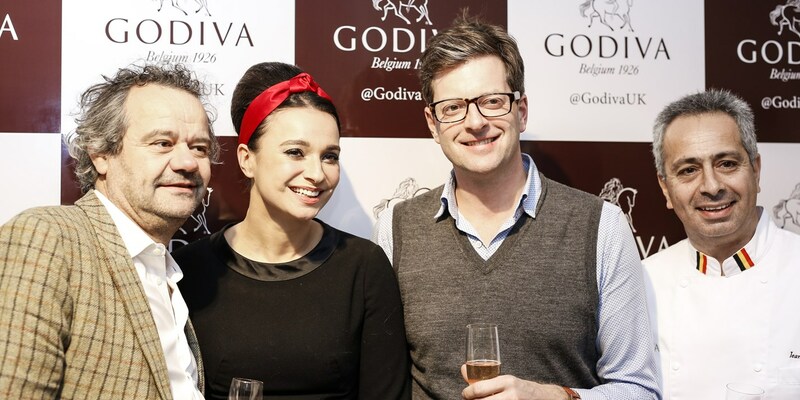 We round up the exciting and chocolate-filled final of the 2015 Godiva Chocolate Challenge, aiming to find the best chocolate dessert recipe in the UK. 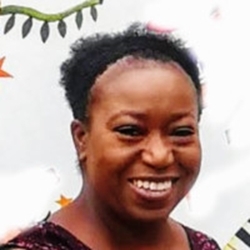 This year’s entrants had already been whittled down to a shortlist of ten, with the four actual finalists announced last week. 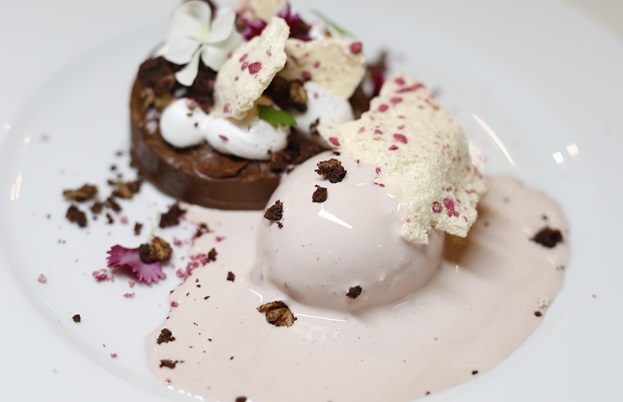 We were particularly delighted that one of our bloggers, Rosana McPhee, was one of these lucky four, with her recipe for a Chocolate nut torte with cherry meringue ice cream going through to the final cook-off at the ALNO kitchen showrooms in London’s West End on Tuesday 13th October. In support of Breast Cancer Now and held, fittingly, during London Chocolate Week, the four finalists re-created their entries in front of the formidable judging panel of chef Mark Hix, Godiva’s Chocolatier, Jean Apostolou, celebrity chef and food writer, Gizzi Erskine and MasterChef: The Professionals judge and food writer, William Sitwell. 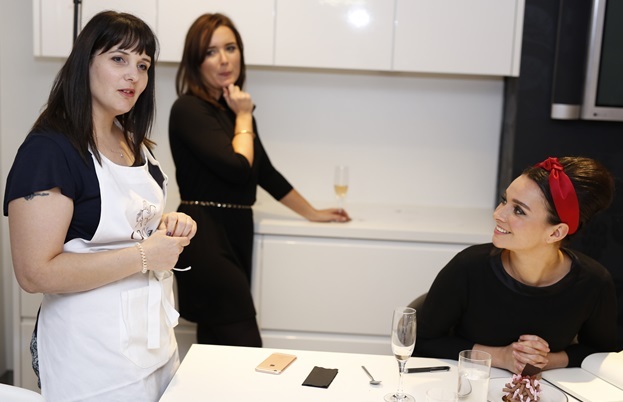 All of the judges spent time with the finalists giving them valuable hints and tips as they were cooking and putting those all-important finishing touches to their creations. Although their aprons may have resembled a rather chocolatey Jackson Pollock artwork, the finalists looked very much in control during the cook-off. 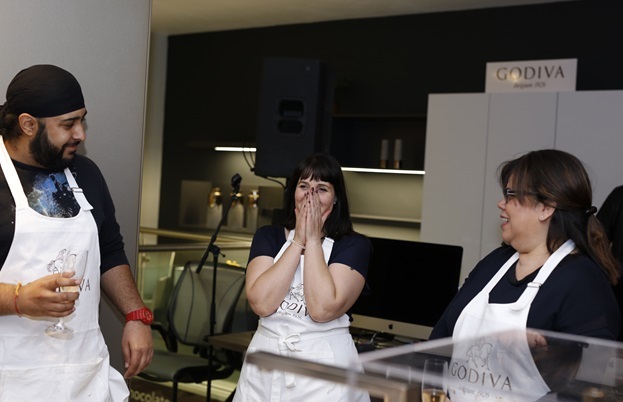 They took time out to chat to friends and guests, who dealt with the tense environment by sipping Balfour BRUT rosé and snacking on strawberries dipped in Godiva chocolate. 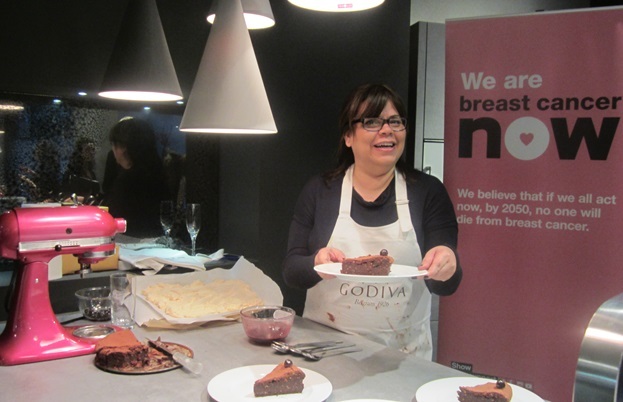 We also got to sample Godiva’s new and delicious range of meringue mousse chocolates, which has been created in support of Breast Cancer Now, with 10% of all future British sales of this collection going to the charity. 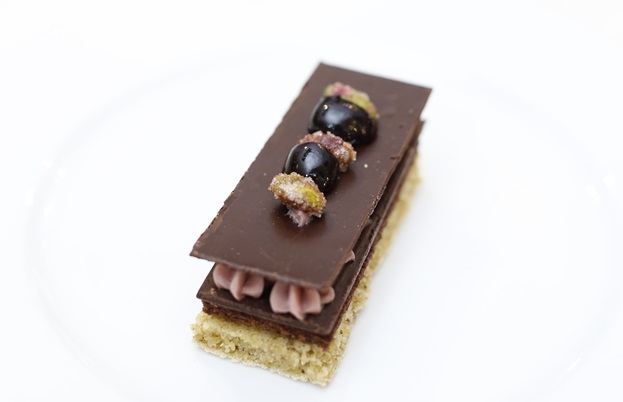 Her dish was inspired by the classic French Concorde, like its namesake and Godiva itself, it’s a symbol of luxury. 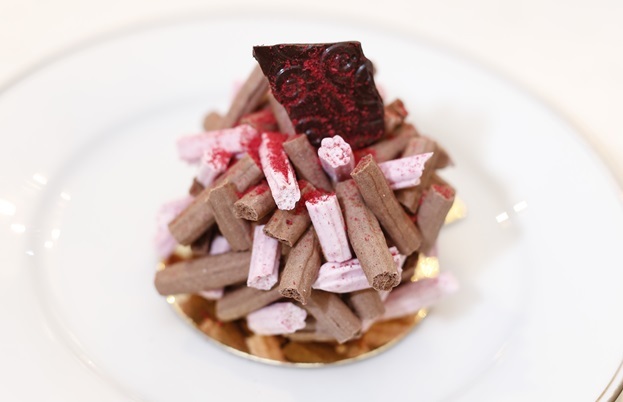 Chocolate meringue with some ‘touches of pink’ from freeze-dried raspberries surrounded layers of raspberry meringue, milk chocolate mousse, caramelised almonds and a delicate rose cream. Even though it looks intricate, it’s easily scalable for Mark Hix’s commercial kitchen production without compromising the presentation or flavour. A big congratulations and big thanks go to Heather, Joseph, Anoop and Rosana for being such relaxed, delightful, and creative finalists. Thanks also to Godiva, for running the challenge during Chocolate Week when the nation is truly focussed on this wonderful ingredient. We look forward to inviting you to join in the event next year and take part in what is now set to be a sought after event in every chocolate-lover’s calendar.